For the common motto of the scouting movement, see Scout Motto. For the 1928 song, see Semper Paratus (march). Semper Paratus is a Latin phrase, meaning "Always Ready". It is used as the official motto of some organizations, such as the United States Coast Guard. A 1928 song of the same name is also used as the U.S. Coast Guard's official march, and appears on the organization's flag. Semper Paratus is the motto of The Royal Hamilton Light Infantry (Wentworth Regiment) of the Canadian Army formed in 1862 and headquartered at the James Street Armoury in Hamilton, Ontario, Canada. "Semper Paratus" is also the motto of Galt Collegiate Institute (GCI) in Cambridge, Ontario, the first high school in Canada to become a Collegiate Institute (established 1852). Semper Paratus is the motto used by numerous armigers, including the Barons Clifford of Chudleigh, Armytage baronets, of Kirklees, Yorkshire, and Elphinstone baronets, of Sowerby, Cumberland. 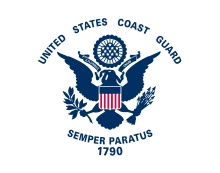 Semper Paratus is the motto of the United States Coast Guard, and is the title of their marching song "Semper Paratus". It is the motto of the U.S. Army 16th Infantry Regiment, Fort Riley, Kansas. It is the motto of the Long Beach (California) Fire Department. It is the motto of the Spanish Springs High School JROTC Cougar Battalion (Sparks, Nevada). ""Semper Paratus" (Always Ready)". Coast Guard History - FAQ's. U.S. Coast Guard Historian's Office. Retrieved 9 May 2016. "Special Unit Designations". United States Army Center of Military History. 21 April 2010. Archived from the original on 9 June 2010. Retrieved 17 July 2017. This page was last edited on 29 March 2019, at 04:29 (UTC).